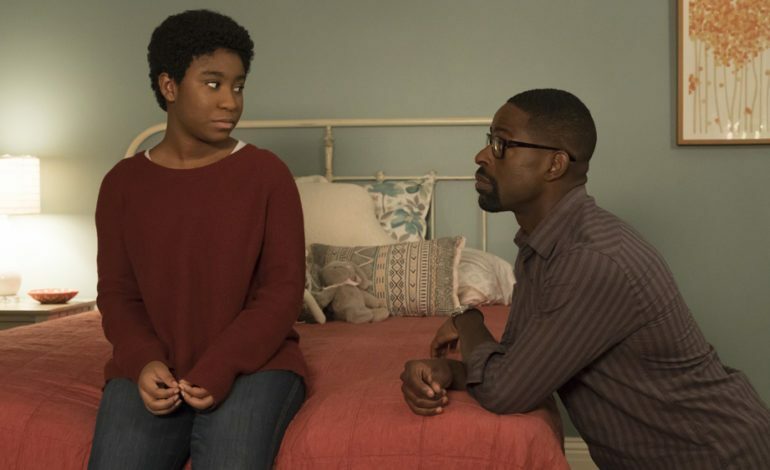 This Is Us has just announced their plan to move the character of Deja, portrayed by actress Lyric Ross, to a “Series Regular” position. Prior to this move, Lyric had already appeared in several episodes of the hit series, and became a welcomed addition to the Pearson family. This news is quick to follow the similar addition of Melanie Liburd to a “Series Regular” spot on the program as well. The young character, who has faced difficulties throughout her entire childhood, dealt with both high and low points since first appearance in Season 2 of the show. Having been roped into the foster care system yet again due to the lack of responsibility from her mother, Deja found herself in the all-too-familiar position of having to find her own way in life. She was deprived of both guidance and companionship as a result, despite her young age. That was, until, Deja found others who cared for her the way she deserved. In Season 2 of the series, Randall Pearson, one of the show’s main characters, along his wife, Beth, try to make the decision of whether or not to try for a third baby. Despite the overwhelming love they already had for their two daughters, they felt as though they had a little more to share with another child. However, they also recognized the potential value in helping someone else’s child, who has ended up in the foster system. This idea is wildly familiar to Randall, who himself was adopted by a family after he was born. Although he was never in the foster system, as he was adopted the by Jack and Rebecca Pearson on the day of his birth, he grew up facing the difficulties any adopted child may face. He dreamed of knowing his parents identities, examining the faces of strangers in an effort to seek them out. He also faced questions regarding why he was given up, which he often was not provided answers to. In addition, however, Randall faced the situation of being adopted by two white parents, who also had two of their own children on the same day Randall entered the world. This often ostracized him in and around school, making things much more difficult. After Randall and Beth officially foster Deja while her mother is in prison, the pair fall quickly in love with her. The start of their relationship was definitely rocky, as trust needed to be built on all sides, and was often difficult to gain. However, Deja quickly learned that the Pearson family was more than willing to open their hearts to her, and that they could truly be a great fit. Although Deja faced difficulty when leaving her foster parents, as they all clashed with the girl’s birth mother regarding where she should go, the Pearson family did not give up hope. They instead wanted to fight for her the best they could, and appear as though they will continue to do this with the promotion of her character to a new series regular position. Lyric Ross has also appeared in the movies Canal Street and Rogers Park. Season 3 of This Is Us will premiere on September 25 on NBC.